Here’s your chance to join Mark Hamill – Luke Skywalker himself – for lunch in LA. This once-in-a-lifetime experience, donated by Marilou and Mark Hamill, is part of the 10th Annual Robert F. Kennedy Human Rights Spring Auction on Charitybuzz.com. This auction is raising important funds to create a more just and peaceful world — from the recent release of Egyptian-American aid worker Aya Hijazi in Egypt to their ongoing effort to end the criminalization of the LGBT community in Uganda — and offers unique collection of exclusive opportunities and once-in-a-lifetime experiences. Charitybuzz is proud to have raised more than $9.6M to date for RFK through its auctions. This year’s complete auction can be found at Charitybuzz.com/RFK. 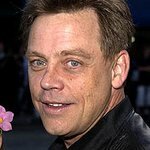 This special Mark Hamill experience will close Tuesday, May 23, 2017 at 3:00 PM EDT.